In short, home automation means using technology, namely wireless internet connections to set your home up to operate as automatically and independently as possible. Your devices can now "speak" to each other, and you can set rules and conditions to automate certain tasks. For example, you could have your blinds open to let light into your room when it's time to wake up. Getting to this level of home automation takes some setup, and usually involves voice-controlled items, and interfaces to make everything work well with everything else. With the Sonos One, you can get great music and control it with your voice. That's a wonderful way to enjoy music, which can boost your mood, get you moving, and keep your home feeling light, happy, and fun. It is also a good way to set up a romantic evening, or even create some background feeling before or after a scary movie. When you want to set a mood for your home, music is one of the best ways to address that. But without a good collection and a way to control it, sorting through all that music often is not easy. 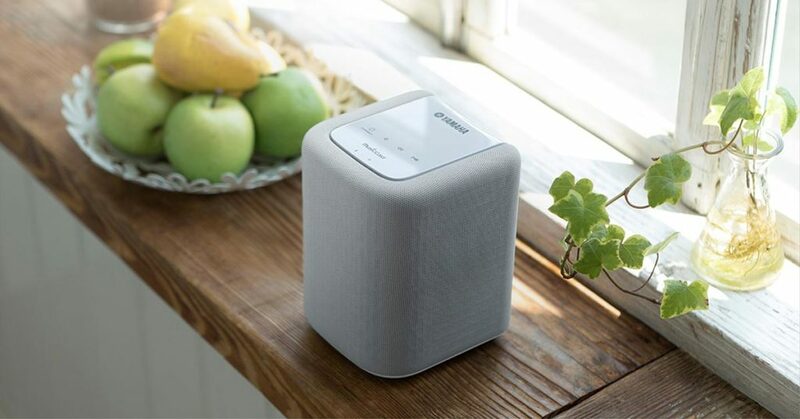 Sonos One is a way to keep everything in one place and ensure you can get to it easily and quickly. Smart switches that can turn electronics on and off are a wonderful way to make sure you don't accidentally leave things on and drive the power bill up. It can be easy to leave a room and forget to turn something off, or go out of the house on a particular day and leave something running. It happens to almost everyone at some point. With smart switches, though, you no longer have to worry about any of that. Your switches will take care of everything for you, so you can just enjoy your life without worry over whether you forgot to turn something off when you left on vacation. From having a smart thermostat that senses whether you are home and adjusts the temperature, to creating a smart sprinkler system that only operates when it has not rained for a set period of time, home automation continues to advance. The right tips and tricks can help you automate your home more completely, and that adds to the energy efficiency and value you receive when you focus on smart home basics. It is a great way to feel good about the home you live in, and keep your life moving forward without stress and worry over basic home functions. Ready to get started? Contact one of our specialists today, and we can help you choose the right smart home options for your needs. 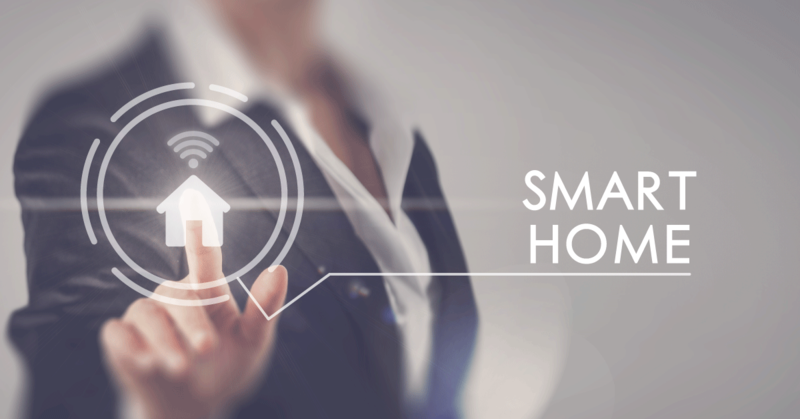 Starting Your Smart Home originally featured on blog.avu.ca. So you just got your new surround sound home theatre system hooked up and you’re ready to test it out. What’s the first thing you put on? 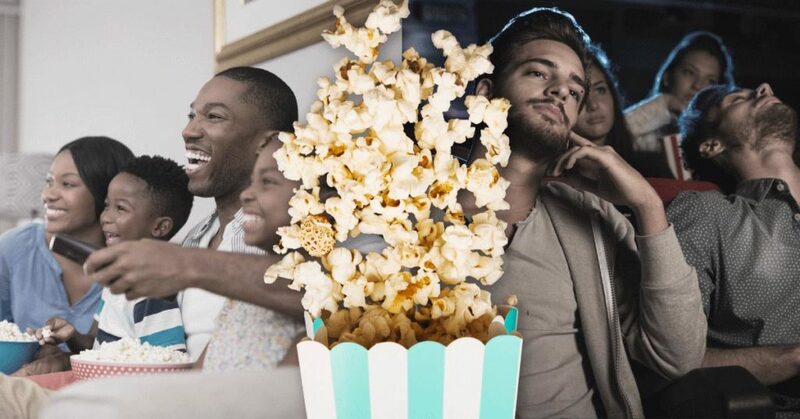 If you have a collection of Blu-ray movies you’re sure to find great surround sound there, but what about those of us who stream our content from Netflix? Note: Netflix viewed through your computer browser (Chrome, Safari, Firefox, etc) does not support surround sound. To get surround sound when streaming on your computer be sure to download the Netflix Desktop Apps. If you are viewing Netflix through an app on your Smart TV, streaming box, or game console surround sound should be supported. If you have an older TV, you may have surround sound passthrough issues depending on your setup. If you think you may have this problem, check out our post on how to troubleshoot surround sound passthrough problems. James Cameron’s epic film has been the “go-to” test for surround sound systems for decades. The opening battle scene will let you know if your system has been properly configured. This version has also been mastered for 4K! Starring Canadian Keanu Reeves, John Wick is one of the great modern action movies. Its use of surround sound throughout is excellent, and a great way to demo your system. Peter Jackson’s award-winning trilogy has too many great uses of surround sound to mention each individually. That being said, the prologue scene showing the battle with Sauron where his finger gets cut off is full of Low-Frequency Effects, and a great way to demo your surround sound system. Be sure to have enough popcorn ready to marathon all 3 movies! While mostly known for its incredible visuals, Marvel’s Doctor Strange also has great sound effects throughout. The blend of the cinematic score with the magic effects in the battle scenes make this a treat to listen to with a proper surround sound system. Nominated for an Academy Award for Best Sound Mixing in 2016, Rogue One is the first stand-alone Star Wars film, taking place before Episode IV A New Hope. From blaster battles to ships whizzing around your room, Rogue One will make great use of your surround sound system. The newest adaptation of the story of a giant Gorilla with a giant heart actually won the Academy Award for Best Sound Mixing in 2005. 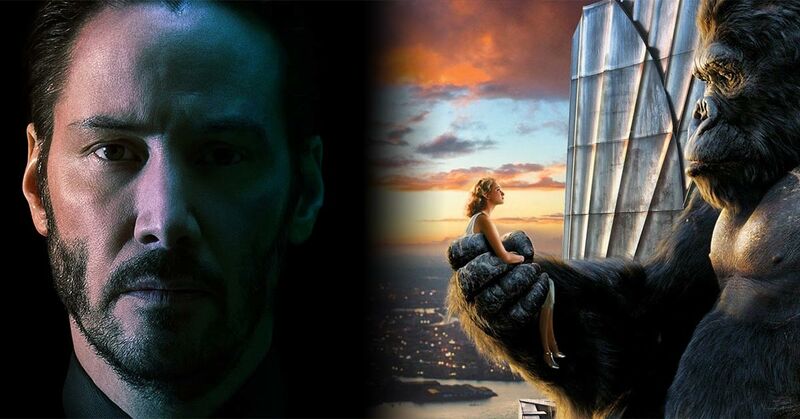 The end scene with King Kong scaling the iconic Empire State Building with fighter jets in pursuit will have you fully immersed in the action. THIS. IS. SPARTA! One of the most famous movie quotes comes from 300, the fictionalized version of 300 Spartan warriors holding out against an entire Persian army. Do you have any questions about installing a home theatre system in your home? Be sure to contact us today! TV not passing through dolby digital 5.1 surround originally posted on blog.avu.ca. Overall, the WX010 would be a great choice as a standalone speaker in a smaller room such as a bedroom, office, or dorm room. It truly shines when paired with other Yamaha MusicCast products. If you have a medium-large size room but still want a single unit, be sure to check out the WX030 modelwhich should better suit your needs. Before we begin, let’s clearly define the type of audio system we will be looking at in this post. For our purposes, we are going to be looking at traditional HiFi stereo system setups including a receiver and separate speakers. The key to this type of system is that it is expandable, as you can upgrade pieces over time as your preferences (and budget) change. If you are looking for a simpler self-contained system, I highly recommend checking out some of our top audio systems for under $500. For those of you who are ready to start your journey into becoming a full-fledged audiophile, let’s continue on! It can be daunting trying to pick your first small audiophile system as there are so many options out there. Should you spend more on a receiver? Or more on speakers? We are going to try to help you answer these questions, but ultimately it will come down to your own personal preferences, and what you want out of your hi-fi system. There are many different schools of thought when it comes to building your first system. Some will argue that you should spend 70% of your budget on a receiver, getting the best you can, and live with a budget pair of speakers until you can upgrade to better ones. The advantage of this strategy is that you will likely never have to buy a receiver again, as your initial purchase will be of a high enough quality to last you many years. The disadvantage is obviously having to live with sub-par speakers immediately after purchasing your first hi-fi system. We are going to go the route of spending an equal amount of our $1000 HiFi budget on a receiver and speakers, ensuring you will have decent quality on both ends so you can fully enjoy your new stereo system on day 1. When choosing a receiver, the first thing you will want to decide is if your system will be primarily used for listening to music, or do you desire it to eventually be a multi-channel home theatre system? If you definitively know that you want a music-primary two-channel system, then you can get a bit more bang for your buck by getting a dedicated 2-channel receiver. Conversely, if you know that you want to one day expand to an 11.2.4 Dolby Atmos Home Theatre, then you’ll want to look for 5.1 Channel receivers to start with. Here are a few options in our price range. Coming in at $499, this receiver is just under the $500 we have allocated for a receiver. The Yamaha CRX-N470 is perfect for those desiring a 2-channel music system. Perfect for connecting two speakers, this receiver also includes an output for a subwoofer that can be added later. By going with the 2-channel system, what you may be lacking in expandability, you make up for with extra features that you typically only see in more expensive receivers. The CRX-N470 is WiFi compatible, with native support for many streaming services including Spotify, Tidal, Pandora, etc. It is also DLNA and AirPlay compatible so you can stream from Apple Music, or any other audio source from your iPhone, or other smartphones. If that’s not enough, it is also Bluetooth compatible, so you can stream from your device, and also use Bluetooth to stream to other speakers. Now we are looking for High Fidelity audio here, which this receiver delivers by supporting 192 kHz/24-bit High-Resolution Music (Flac / WAV / AIFF), and to round out the features, it includes a standard RCA input for your analog audio sources. Lastly this is the only receiver in this article to feature an integrated CD Player! If a 2.1 Channel Hi-Fi System is what you desire, then the Yamaha CRX-N470 is the perfect choice for you. You should be aware, however, that this receiver does not have an HDMI or Optical input, and is not designed to be used with TVs. It’s still possible to do so, but it would probably involve using a 3.5mm cable out of your TV’s headphone port which is not ideal for great sound. If you know that you are going to want to expand to a home theatre system, or are unsure, then I recommend getting an entry level 5.1 Receiver, as it will give you more options in the future. The Denon AVRS530BT 5.2 Channel Receiver comfortably fits into our budget at a price of $379. Denon is known for providing exceptional sound quality and this receiver is no exception. Featuring 5 HDMI inputs this receiver will be the home to all your video devices. It should be noted that only 3 of the 5 inputs support 4K resolution. There is no WiFi or native support for streaming services, but the receiver does have Bluetooth compatibility so you can still stream music from your phone or other Bluetooth devices. Overall this unit may not have as many features as other more expensive models, but it’s perfect for those who favour sound quality above all else. For those who desire a more full-featured 5.1 channel home theatre system, we recommend the Yamaha RX-V483 receiver. While it is a bit more expensive than the Denon coming in at $549.99, it adds a ton of functionality making the extra cost worthwhile. Aside from being a great 5.1 channel receiver, this unit also includes many of the same WiFi capabilities of the previously discussed Yamaha audio receiver above. Access to digital music streaming services (Spotify, Tidal, etc), Multi-Room Streaming, and access to high-quality lossless audio file types (WAV, FLAC, etc) are included with this receiver. It also features 4 HDMI Inputs that all support 4K resolution, and the ability to optimize audio based on the unique characteristics of your room. Typically, floor standing or tower speakers will be outside of our $500/pair target budget, but even with an increased budget, there are good arguments to stick with bookshelf speakers. 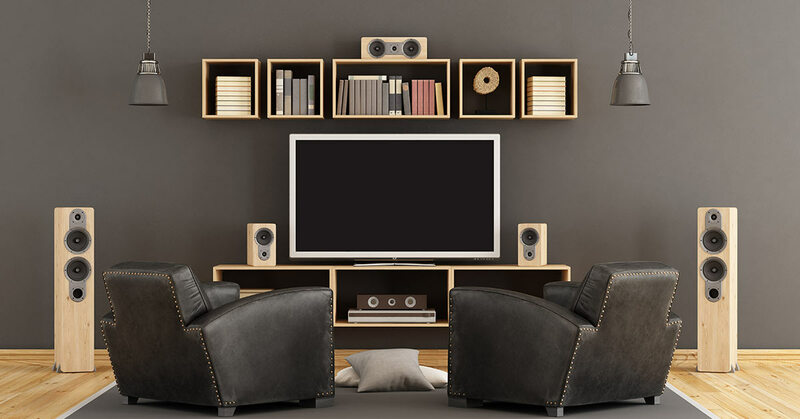 Many believe that you get more bang for your buck with bookshelf speakers, as you are paying for “less wood” with a smaller box and often getting higher quality components. There may be some truth to this theory, however, the size of the box that a speaker is encased in does have an effect on the overall sound, with bigger boxes tending to give a better bass response. Bookshelf vs Tower speakers will be something to consider when you want to upgrade your system, but for now, we will stick with bookshelf speakers for our recommendations. Paradigm has been the top speaker manufacturer in Canada for a number of years. Known for making incredible high-end speaker systems, the Atom Monitor v7 line is designed to be a more affordable version of their award-winning lineup. These speakers are the seventh iteration of the Monitor series, with each generation improving upon the last. Don’t let the entry-level status of these speakers fool you, entry-level quality for Paradigm is miles ahead of most competitors mid-premium lines. Featuring immaculate construction with a 5-1/2″ driver and 1″ tweeter, the Atom Monitor v7’s provide a great midrange & bass response. Be warned, once you’ve been exposed to Paradigm you will likely not be satisfied with any other speaker brand! You should be able to scoop up a pair of Monitor 7’s for $460. These speakers may be a bit pricey for our sub-$1000 HiFi System budget, coming in at $649.99/pair, but they do work if you went with a sub-$400 receiver like the Denon AVRS530BT. Monitor Audio is a British speaker manufacturer with a history in HiFi dating back 40 years. The Bronze 2 speakers are the second iteration in their Bronze lineup. They are larger than the Paradigm Monitor 7’s, standing 2″ taller & deeper, and 1″ wider, so be sure to consider their size and your listening environment before choosing these speakers. Featuring a 6-1/2″ Mid-Bass driver, as well as a front bass port, these speakers have an incredible mid-low end response. This will help better recreate those deep bass lines, or explosion effects in movies. The Bronze 2 also gives you a choice between Black Oak, Walnut, Rosemah, and White Ash finishes, upping the look of your new HiFi system. As for expanding down the road, the Bronze 2 centre channel speaker, tower speakers, and Subwoofers can round out a perfectly matched home theatre. Overall if you have the room in your budget, the Monitor Audio Bronze 2 Bookshelf speakers would be a great choice. Admittedly, this is not the type of system you think of when hearing the term “HiFi system.” That being said, for those of you who know you want to eventually expand to a more robust home theatre system, or have to fit your hi-fi system in a smaller room, this could be a great place to start. This system consists of the Paradigm Cinema 2.0 speakers, paired with the Cinema subwoofer, the combined total coming in at $670. 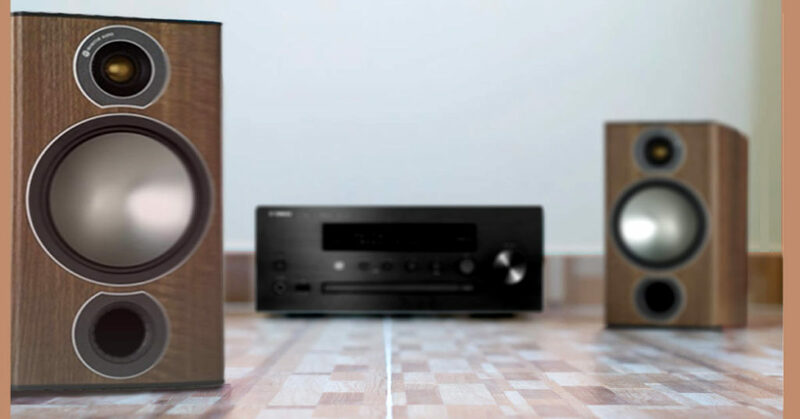 While the previously mentioned speakers in this article will provide great stereo imaging and an incredible midrange with crystal clear highs, if you primarily listen to electronic music like dance or hip-hop, you may find them lacking in the low end. Bookshelf speakers are simply not going to handle 808 Kicks and Sub-Bass well without a subwoofer, which is where this system thrives. So in the interest of having a system you can be happy with on day 1, we’ve included the Cinema 2.1. Don’t let the small size of the speakers worry you, Paradigm has engineered these to pump out a surprising amount of sound in a small package, and when paired with the Cinema Sub, have the entire frequency range covered. The fun part of HiFi includes expanding your system, and it makes sense to think about where you one day may want to take your system while starting out. Let’s start with those home theatre lovers who may have chosen the Paradigm Cinema 2.1 option. Adding Paradigm’s Cinema 3.0 System (essentially 3 more of the same speakers) will give you a full 5.1 surround sound system for just $420 more! If listening to music in a 2.1 HiFi system is your ultimate goal, then adding a subwoofer will fill out the bottom end significantly. Conversely, you may want to replace your bookshelf speakers with tower speakers for a wider frequency response. Adding a centre channel speaker to your bookshelf speakers will give you a 3.0 setup, with significantly clearer dialogue and a better soundstage for your growing home cinema.